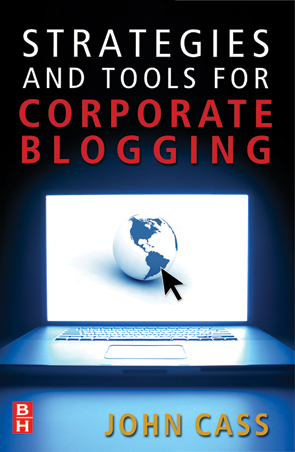 Corporate blogging is about one to two years old as an Internet marketing method. A corporate blog is a website dedicated to a particular company, product or industry run by one or sometimes multiple technical or marketing authors. Culturally a blog allows a blogger to post many entries on a changing home page on the theme of the blog. A corporate blogs focus on an industry or company product provides several advantages to a company. 1)	The search engine optimization benefits from a blog. The SEO benefits are derived from the quantity of content and the cultural acceptability to have many pages of content on a regular (daily) basis. Search engines like new content, especially content that comprises of short paragraphs with many rich and relevant keywords. It is easy to generate and boost link popularity to your corporate blog. Here’s why, it is culturally acceptable to post links to other blogs as long as they are paired with postings that a relevant and useful to the other blog. Corporate blogs will achieve high rankings. 2)	Corporate blogs are learning tools for companies. The necessity to develop new content and the opportunity to interact with an audience in an informal way than a corporate website means that corporate blogs can start and develop online conversations about a company’s products and industry. Microsoft and Macromedia are two companies using corporate blogging extensively, their technical and development teams are writing blogs to develop relationships with customers and as a result learn and teach customers about their products.